A record attendance which raised nearly $12,000 in scholarships to Mississippi schools! 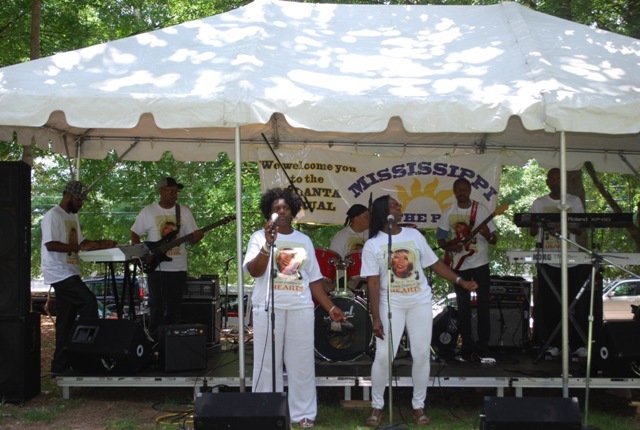 The 6th Annual Mississippi in the Park was an event to remember! The 2014 Mississippi in the Park had record-breaking attendance and scholarships! We had nearly 500 guests and our gift basket drawing raised over $2,000! 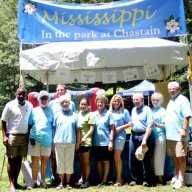 Mississippi in the Park and the Mississippi in Georgia weekend awarded over $10,000 in scholarship funds toward Mississippi universities! We were happy to see the alumni representatives at the picnic from Mississippi College, Mississippi Delta Community College, Mississippi State, Mississippi University for Women, Ole Miss, Southern Miss, Delta State, & William Carey. It was a day of smiles and warm memories as The Shufflejunkies and Bobbye "Doll" Johnson's band paid tribute to Chick Willis and Bobbye. Both were great friends to the picnic and will be missed! Congratulations to David King, winner of the 2014 Mississippi Society of Georgia Scholarship!